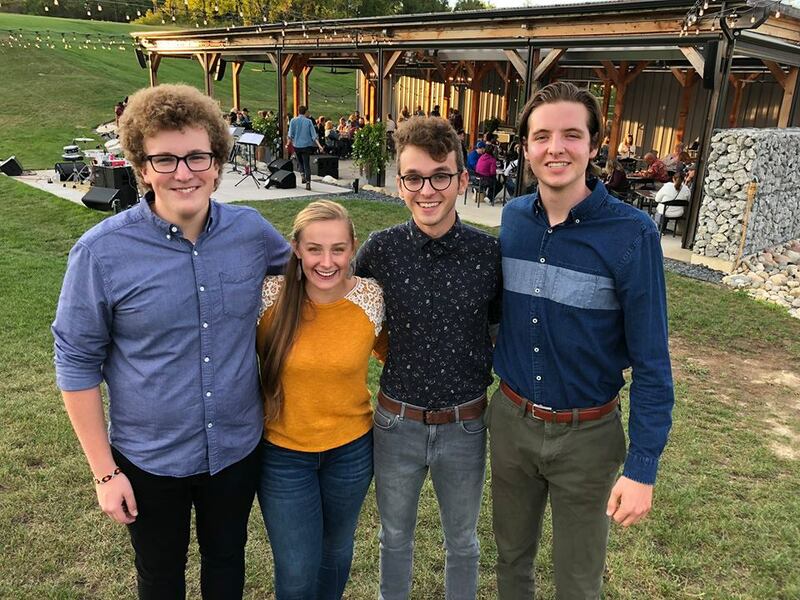 Our final jazz concert of the summer 2019 season will feature Blue Pluto, a band made up of Aleena York, Colin Christenson, Sam Bellavance, and David Detweiler. Blue Pluto was formed during Sweetwater’s Academy of Music in 2014. As a Fort Wayne-based group, you may have heard them at Club Soda or Two-EE's winery. We're excited to have them in Wells County on August 9! Please bring a lawn chair. In the event of rain, the concert will be held inside the Arts, Commerce & Visitors Centre building.